If you’ve ever bought your weekly groceries at an ALDI store, you’ll know that there’s savings aplenty to be had. To add to your regular savings, ALDI releases a range of products twice a week as part of its Special Buys which draws in crowds and often get sold out blitzkrieg-ly quick. And in this Saturday’s Special Buys line-up is some entertainment gear with massive savings. 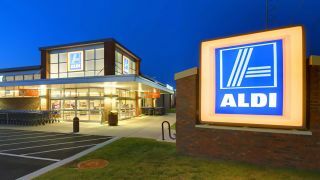 ALDI is offering their customers a chance to upgrade their home entertainment system by adding products from technology company Bauhn. So keep your wallet and bags (or buckets) of popcorn handy for a weekend packed full of your favourite shows and movies seen on brand-new gear. And don’t forget to grab the largest shopping trolley you can find. Included in the weekend’s Special Buys range is a 65-inch 4K UHD TV for $899 and a 40-inch Full HD LCD television set for $333. The former boasts a 5000:1 contrast ratio with record-pause-playback (PVR) functionality. Both products come with a one-year warranty. Also gracing ALDI’s line-up for the weekend is a Bauhn Bluetooth over-ear headphones for just $39.99. The company promises comfort along with a high-quality sound experience, so it might be well worth laying your hands on for that price point. There’s also a media player to be had. The Cocoon Ultra HD media player is an Android-toting device that comes pre-loaded with Netflix and also features Wi-Fi connectivity. The media player supports all major file formats to play your music or old movie collection. It comes with 1GB of storage which can be increased to 64GB via microSD. For those who are looking for a laptop that won’t break the bank, the 14-inch Unisurf Notebook will be available for $249. This Windows 10 machine is powered by an Intel Atom processor and comes with 32GB of storage and a 4GB RAM. If you aren’t convinced with ALDI’s promise of quality and want premium entertainment products, LG’s latest range of OLED and Super UHD TVs are soon coming to a store near you.